The Nokia C6 smartphone is due for release in the third quarter of the year, a candy bar mobile phone with a slide-out, full QWERTY keyboard and a 3.2 inch touchscreen. 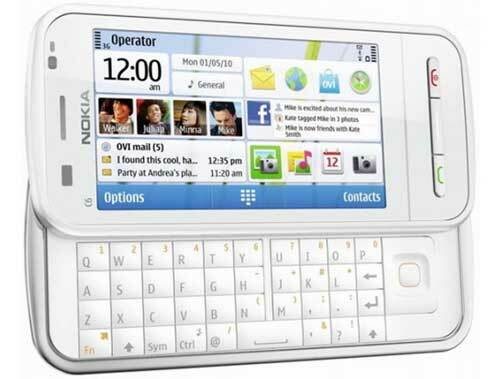 A real social animal, the Nokia C6 puts social networks directly on the homescreen, so you can view, comment, update status, share pictures… all the things people like to do with Facebook and Twitter. And lovers of gadgets in colours, the Nokia C6 will be available in black or white.